I am so ready for Fall, aren't you? I took inspiration from Mojo Monday sketch 464 to use our new wood-look Fundamental Rustic papers and one of our new colors Tangerine, which is perfect for this pumpkin. I love the burlap string ribbon that goes with the Rustic Fundamental papers. It's perfect with an "outdoorsy" pumpkin. You see, if you are not from Texas, it can be very hot here during the summer months, which can include May and September. When folks in the northern states hibernate in the winter, Texans hibernate in the summer. Fall, pumpkins, these are cool words to me in Texas. I'm ready for cool!! I'm ready for outside!! 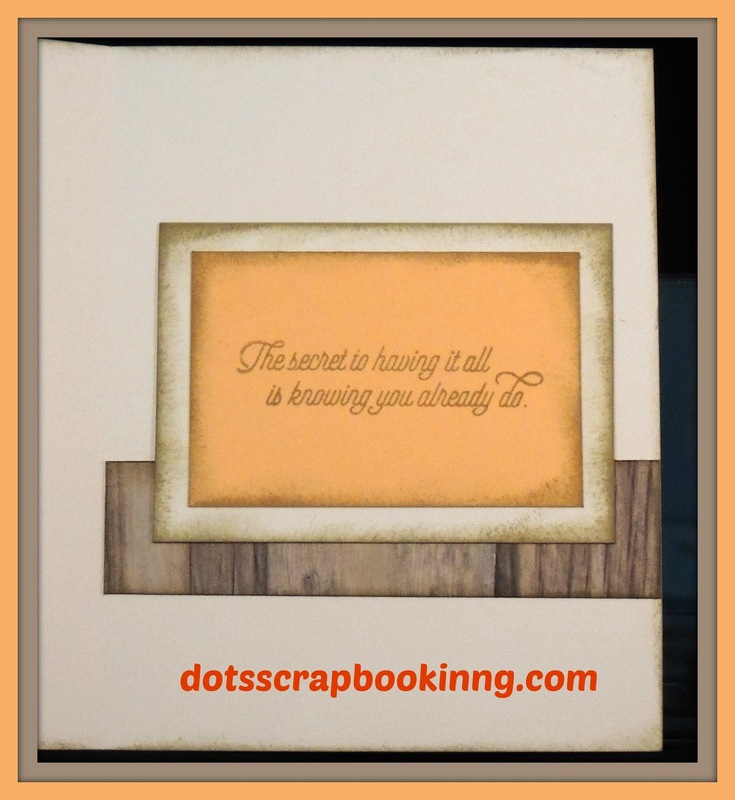 So here is my cute little pumpkin from the September stamp of the month. You can add embellishments of your choice. Mine are from my discontinued stash. So pretty! Love the bit of burlap trim. Thanks for joining us for Mojo Monday!